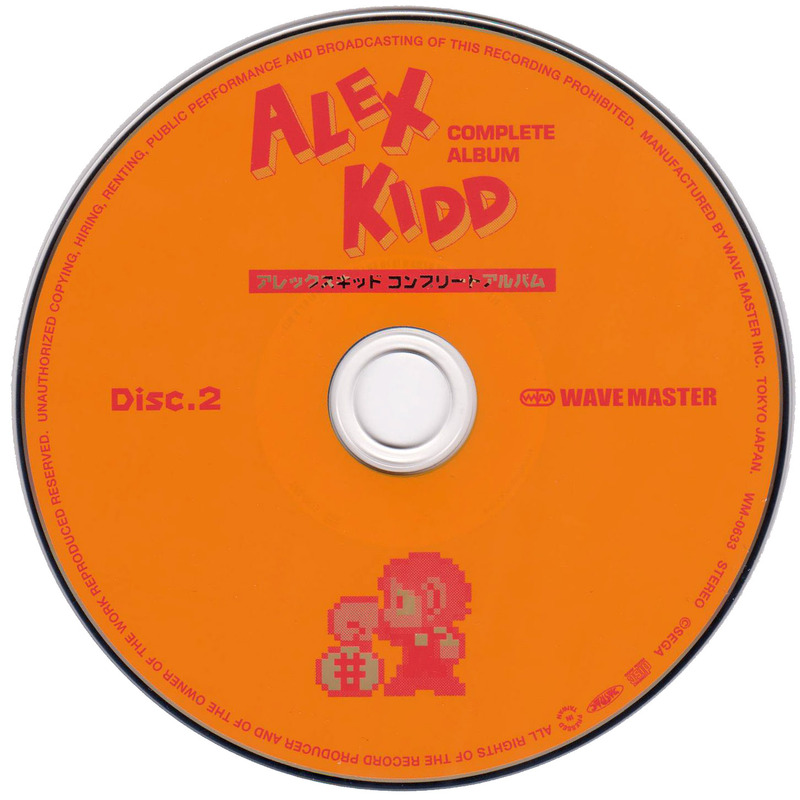 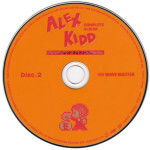 A collection of every soundtrack for every game in the Alex Kidd series including SEGA Mark III variations. 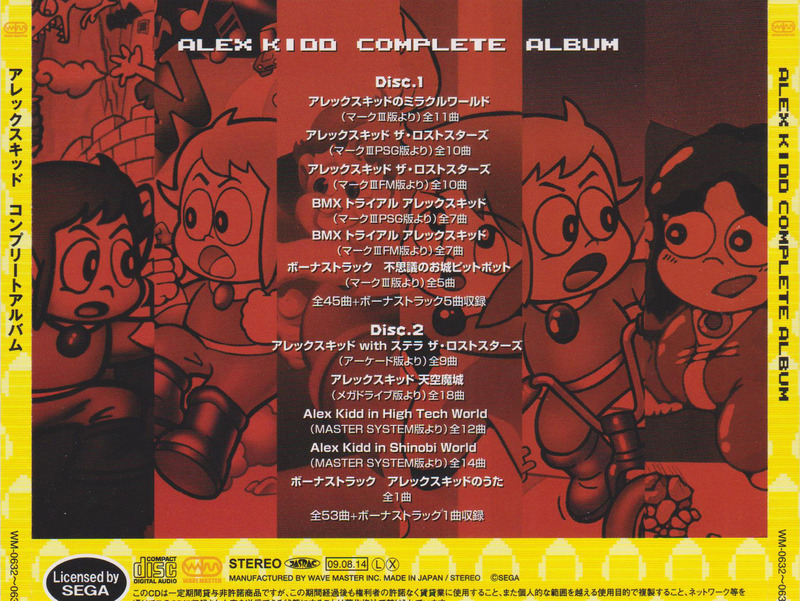 Includes the Pit Pot soundtrack confirming its connections to the Alex Kidd series. 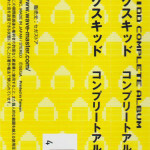 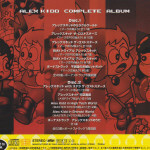 An exclusive song was recorded for this album by Tokuhiko Uwabo and Takenobu Mitsuyoshi (of Daytona USA ‘Let’s Go Away’ fame) called ‘The Alex Kidd Song’. 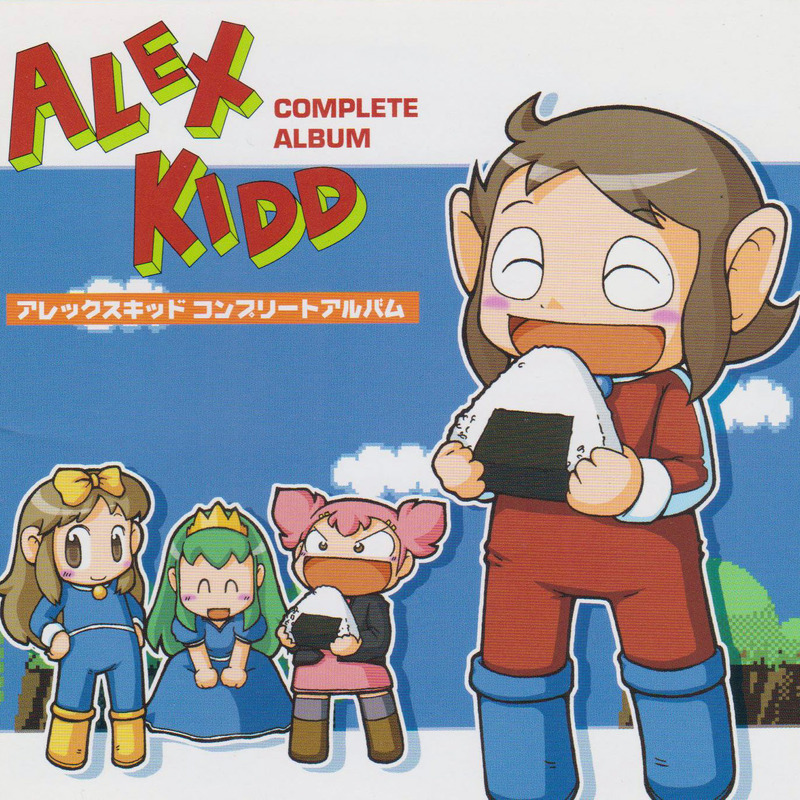 This song is a punk rock song that uses the melodies from Alex Kidd in Miracle World’s main theme and the swimming theme complete with new lyrics written by Tokuhiko Uwabo. 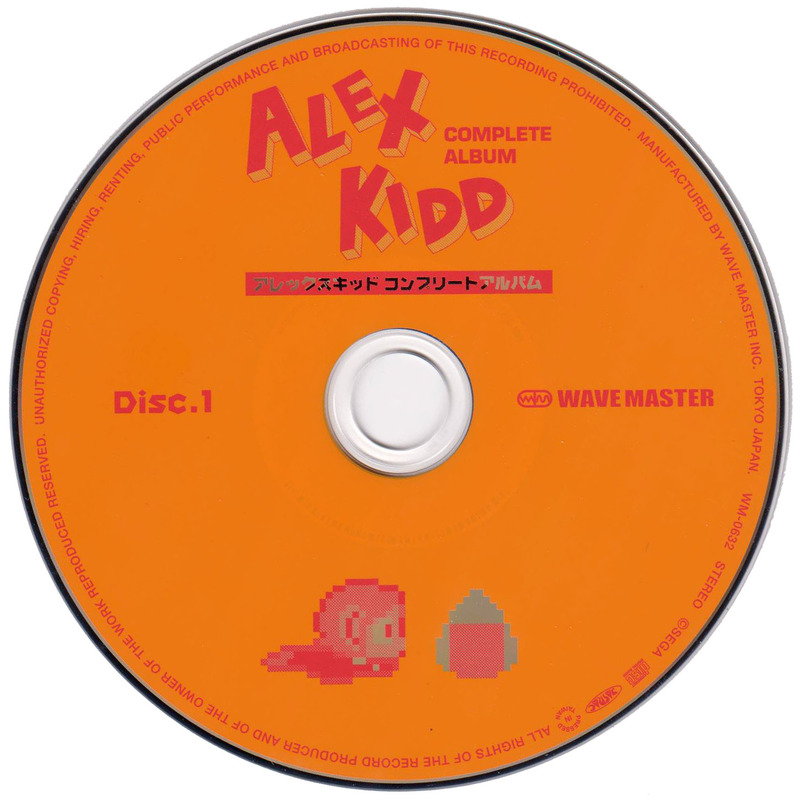 Also includes a sticker of the cover artwork.